In the folder where Kaspersky Update Utility 3.0 is located, create a folder (for example, Temp). 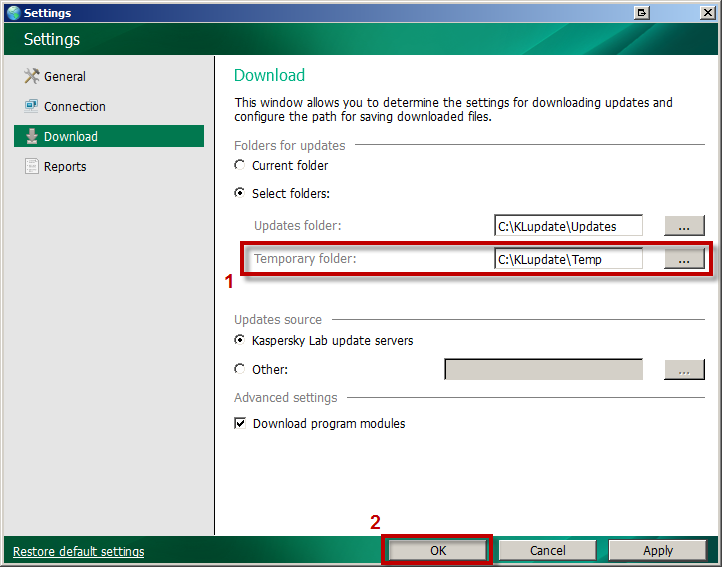 In the Kaspersky Update Utility 3.0 settings, specify the folder Temp you have created as the temporary folder. Go to the Temp folder and create the subfolder temporaryFolder.